It’s not a catch per se, but you need to understand you can’t simply switch to barefoot running and expect everything to be okay. As well as learning and perfecting a new running technique and skill, your body will need time to adapt. The skin on your soles is soft and thin and the musculoskeletal structures of your feet and lower legs have been weakened by wearing shoes. Let me put it like this. Imagine if you’d spent most of your life with your arm in a sling. What do you think would have happened to the muscles in your arm? They would have atrophied. However through gentle and gradual use of your arm, you’d be able to regain it’s full strength. It’s the same with your feet. You can regain the natural strength and flexibility of your feet, but it will take time and patience. When I started barefoot running, I read all the advice about taking it slowly and fully intended on doing just that. But something happened when I went out for my first run, which was supposed to just be around the block. I found that it felt so good, so soft and so effortless. When I reached the end of the block – I carried on running. I carried on running with the thought that I would run all the way around Clapham Common – some 5k. When I reached half way I started feeling my calves complaining. I stopped running and hobbled home. For the next 5 days I could hardly walk. My calves were in agony. I’d totally overdone it. Take it from me, in the early stages of learning to barefoot run, you won’t know you’ve over done it until you’ve gone too far. So when you’ve worked out a training programme, stick to it. The first couple of runs will feel ridiculously short, but they are very necessary, so stick to the plan. I’ve been working on a comprehensive training programme to get started with barefoot running and will post it as this website evolves. In the meantime you could check out the original plan on my blog. Notice how your feet land? You are utilising your feet and legs as natural shock absorbers to cushion your landing. You are landing on the balls of your feet, then allowing your heels to come down gently at the end of each stride. Imagine if you then start to move very slowly forward with each step, keeping the same landing technique. You are barefoot running. So we all know how to do this, we just think it will be hard or painful as we’ve been brought up believing that we need to protect our feet with shoes, especially when running. Of course there is a little bit more to becoming a barefoot runner, the proper technique can’ t be perfected in a day. But running on the spot isn’t far removed from what a barefoot runner does. If nothing else this little exercise should be enough to convince you that it is possible to run without cushioned running shoes. Many proponents of barefoot running advise existing runners to change gradually and incorporate barefoot running into their existing conventional running. I believe this is a mistake. Barefoot running is all about good form. It will hamper your efforts to teach yourself a different form, if you continue to run with your old form at the same time. Running is a skill that must be learned, so it becomes automatic. You’re not going to change your running style if you have to keep up two forms of running. Better to start again and do it right. Much is written about transition time, and this is the first thing any existing runner wants to know. I’ve read everything from four weeks to two years. I think the real answer lies somewhere between that, but it will be different for everyone. If you read my blog you will see that my transition was in many parts. I also started off with barefoot shoes, switching to bare feet when that didn’t work out. I made many mistakes along the way, which also set me back. So whilst it may well now have been over two years, how much of that time was I actively running and how much of that time was spent recovering from a mistake is anyone’s guess. Your journey will be different again. So stop worrying about how long it will take and get started. Some things will always take time. You need time for your feet, ankles and legs to get used to the new regime. The process of bones and soft tissue in your legs and feet becoming stronger over time in response to new stresses is mechanostat modelling, described for bone and soft tissue respectively in Wolff’s Law and Davis’s Law. An easy way to understand this is to look at a reverse example you’re probably aware of; astronauts in zero gravity. If they didn’t exercise for 2.5 hours every day, they would suffer bone and tissue atrophy. You need to trigger the opposite by slightly stressing your feet and legs beyond their norm so that adaptation takes place. While also being cautious not to over-do it and cause an injury. Overdoing early on before these adaptations take place is the reason many try barefoot running only to fall foul of an injury. Understanding mechanostat re/modelling is the key to push yourself enough for growth, but not so much you injure yourself. If you think that physical changes like this can happen in just a few weeks, think again. My own experience is that the more you stick at it, the easier it becomes. The physical changes may be too slow to witness, but in time you realise that running has become easier. Most runners are fixated by time. Personal bests for different distances, etc. So their first question regarding barefoot running is always: Is it faster? The answer isn’t quite as simple as the question. Celebrated instances of winning races barefoot, tend to be longer endurance races; Abebe Bikila winning the marathon in the 1960 Olympic games for example. Shorter races where more friction between you and the ground allows faster acceleration, favours the shod runner. There is a reason for this. The reason is that in shorter races, especially those that involve sprinting, the extra grip that shoes provide allow for faster acceleration and sharper cornering. 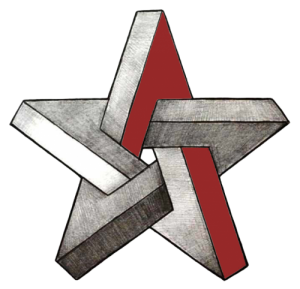 Outside of competition (and seeking personal bests), this competitive advantage is a moot point. Runners who train barefoot but wear shoes for competition, have stronger feet than other runners who are always shod. This is the paradox of performance. On the one hand it’s easy to say that runners are faster in shoes. But this ignores the advantages of strong feet that the barefoot runner has over his shod rival. Remove the grip advantage by putting shoes on the barefoot runner for competition and you’ll soon see who has the advantage. This isn’t a problem for most runners, as most only run for fun and fitness and don’t compete in competitions. 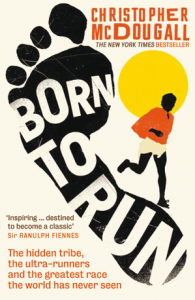 The current interest and resurgence in barefoot running really started with the 2010 book “Born to Run” by Chris McDougal. This wasn’t strictly about barefoot running, it was more about what is better described as ‘natural running’. A style of running that doesn’t rely on any “shoe technology”. The book centres on a tribe of indians in the Copper Canyons of Mexico called the Tarahumara (or Rarámuri). They don’t run barefoot, but make themselves basic sandals out of old truck tyres for a sole and a piece of leather cord to hold it to the foot. They run a 100k just for fun in nothing more than these basic ‘sandals’, without warming-up or stretching. McDougal goes in search of their secret, the result is surprising. Adharan Finn is on a quest to find out what makes the Kenyans such good runners. Packing his running kit (and his family) he moves to the small town of Iten, Kenya to live and train with the country’s best runners – aspiring newcomers and future Olympic champions. The week before he is due to fly out he reads Born to Run and experiments with barefoot running. He overdoes it, gets injured, and faces the prospect of going out to Kenya unable to run. Had he ruined his chances by switching running style at the last minute? 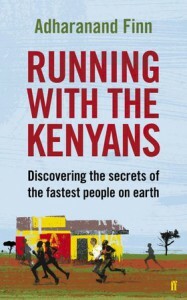 If barefoot running was the secret of the Kenyan runners this wasn’t a great start. 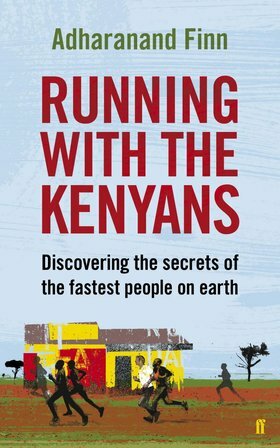 What follows is an epic quest to discover the Kenyan’s secrets of what makes them the greatest runners in the world. Appendix 1: Prepare to run barefoot. Not got time to read? Try the bullet-point version instead.